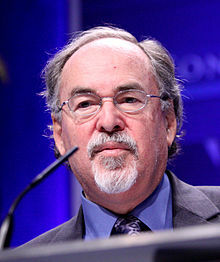 David Horowitz (click on the blue play icon below and if the sound doesn’t begin, then click on the loudspeaker icon alongside it to listen to my interview with him) is a prolific author, speaker and political activist. His latest book was the huge bestseller, Big Agenda. It is a pithy book that explains what President Trump plans to do. Mr. Horowitz currently is the director of “The Freedom Center” which he created in 1988. He went to Columbia University as well as the University of California at Berkeley and was the editor of the Left’s leading magazine, “Ramparts.” I believe Mr. Horowitz’ greatest asset is his insight into Leftist politics. In my interview with him, he explains why he changed from being a revered and high-level, Leftist Socialist from 1956 to 1975 to a Conservative in the late 70’s, especially considering that his parents were members of The American Communist Party. Mr. Horowitz tells his spell-binding and compelling story with names, dates, and places. He tells what motivates the left and gives his views on Leftist positions. Why and what the left hates. The anti-war activists’ change in their protests against the Vietnam war once the draft was ended in 1974, why many left leaders of the 70’s (John Kerry) have ”blood on their hands,” and much more. How and why he knows that the Black Panthers killed his accountant, Betty. If you want to learn more about Left politics, you should enjoy this interview. Click on the blue “play” icon below and if the sound doesn’t begin, then click on the loudspeaker icon alongside it. Your post, INSIGHT INTO LEFTIST POLITICS was really content rich and straight forward for me to understand.